Remember zooming your model X-Wing through the living room as a child, making an imaginary run on the Death Star trench? Looks like technology has finally caught up with your dreams. 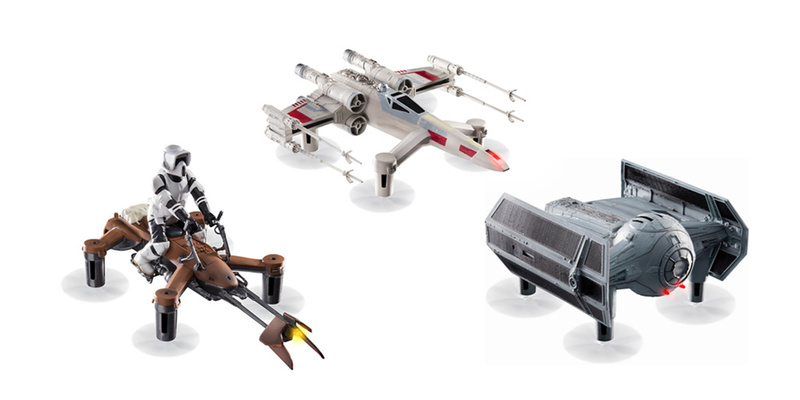 Not only does the Star Wars Propel Drone: Collector's Edition fly, but it can engage in real-life laser dogfights with other drones in the series. Modeled after your choice of the T-65 X-Wing, X1 Tie Fighter or 74-Z Speeder Bike, these licensed drones can fly at up to 35 mph, with three-speed settings for different levels of skill. Powered by Reverse Propulsion technology, any one of them can execute stunts that can be pulled off with a push of the button. Drone pilots of any experience can warm up with 30 missions on the companion app, and get this: Two or more drones can even take off and do battle in a game of aerial "laser tag." Originally $149.95, these battery-powered Star Wars Propel Drones with light-up display case are now 66% off at $49.99.